1. 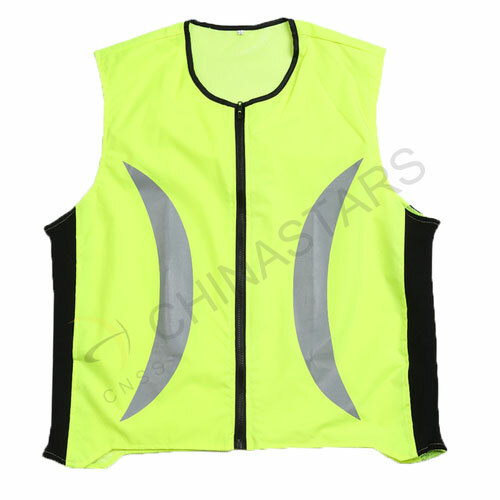 This high visibility reflective sports safety vest is ideal for cycling, running, skating and other outdoor sports. 2. 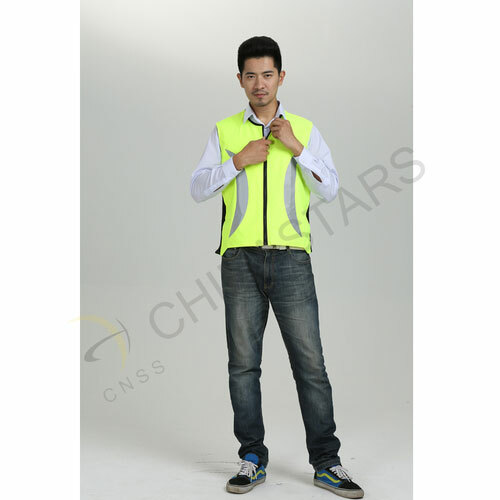 Crescent-shape reflective fabric on the front and back not only designed for your fashion, but also provides a great area on the vest for reflectivity. 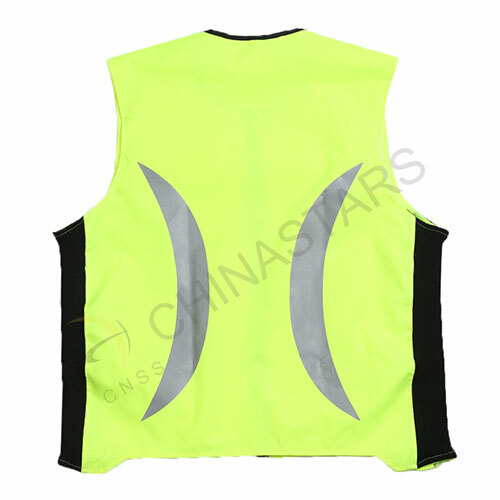 In addition, fully fluorescent yellow on front and back panel helps you to be seen no matter in daytime or night time. 3. 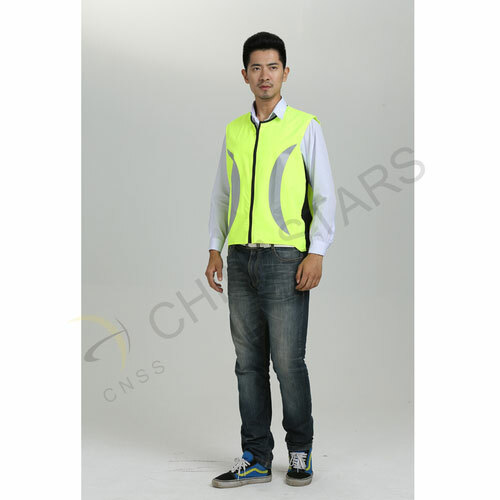 Full-length zipper for putting on and taking off your vest easier. 4. 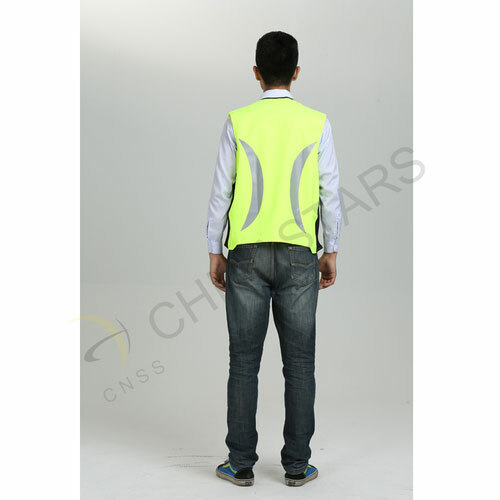 Elastic and vent fabric at the waist offer some adjustability and breathability for you. 5. 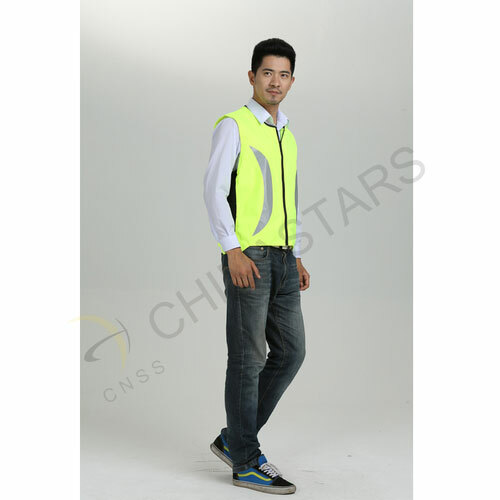 The reflectivity, adjustability and comfort of this vest improve exercise conditions for runners and cyclists.